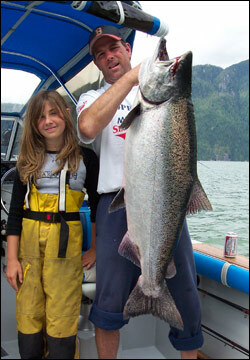 The Bligh Island Fishing Lodge is located in the beautiful Nootka Sound on the west coast of Vancouver Island. It is an ideal site for fishing the world’s most prolific salmon run and other outdoor activities such as kayaking, whale watching and observing marine and wildlife in all their forms. The area is alive with sea life. Killer Whales, sea lions, porpoises and seals are common sights throughout the season. Kayakers may circumnavigate most of the small islands in the Nootka archipelago. The sound is one of the World’s unspoiled natural beauty spots and abounds with many species of fish and wildlife. We will cater parties & provide boats with guides upon request. We look forward to your stay with Bligh Island Fishing Lodge.